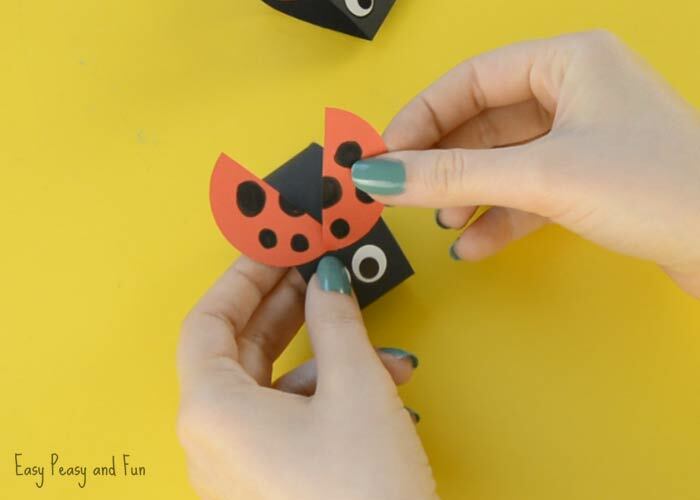 Nothing beats simple (and cute) crafts, and this ladybug paper craft we’re sharing today certainly is on the easy side. Now, I might not exactly be the hugest fan of bugs but ladybugs are certainly one of those bugs I love to see (and don’t freak out when I see one). 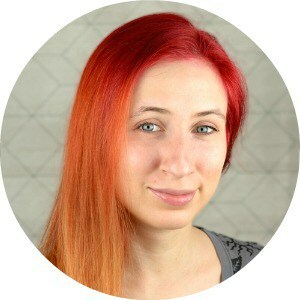 It is really quite hard to make just one ladybug like this :). 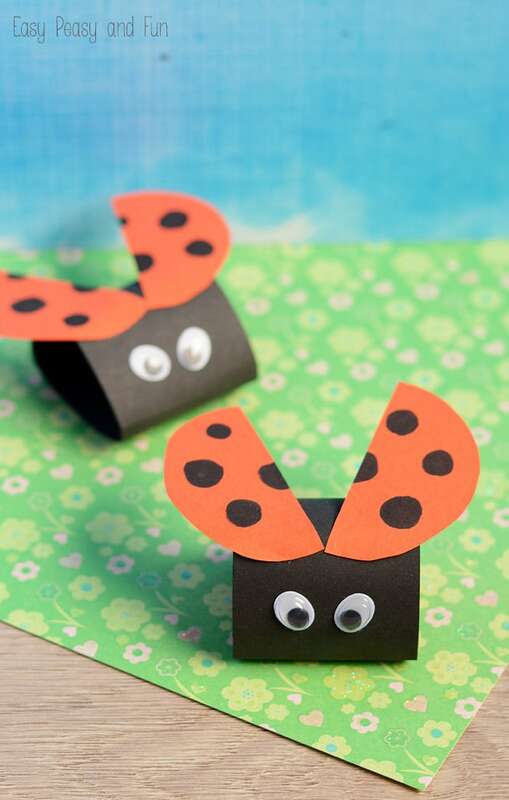 Spring is the best time of the year to make bug crafts, especially during those super duper rainy days when kids really can not play outside. 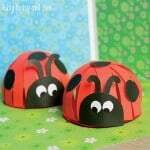 We are huge fans of ladybugs here, we really think these little cute bugs are the cutest. 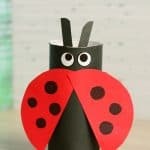 And as we also love simple and quick paper crafts, this ladybug paper craft is also one of our favorites. 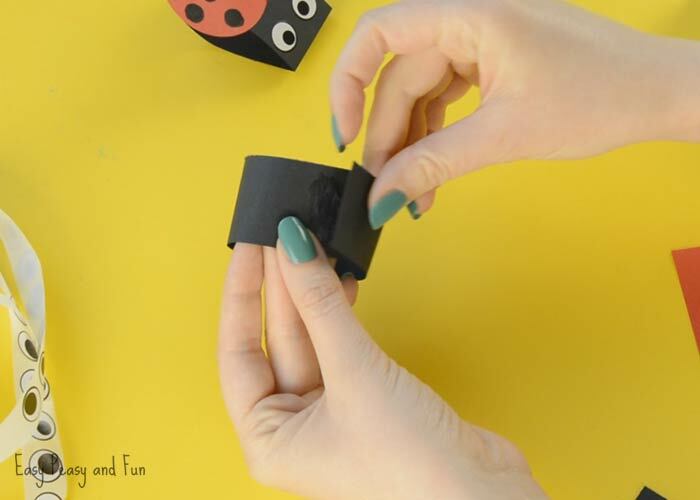 As it’s quick and frugal, this one will be a perfect project to do in the classroom, just imagine your students making a whole armada of ladybugs and having them taped all over your classroom! 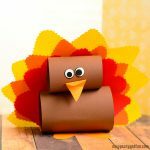 We have prepared both video and step by step instructions for this fun little project. 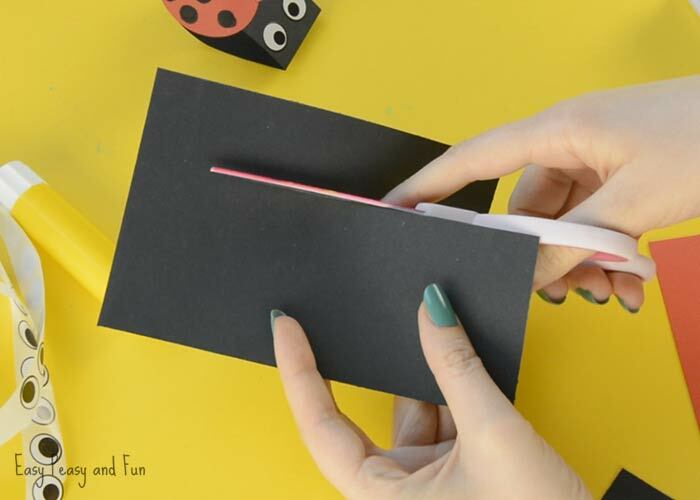 Start by cutting a strip out of black construction paper. 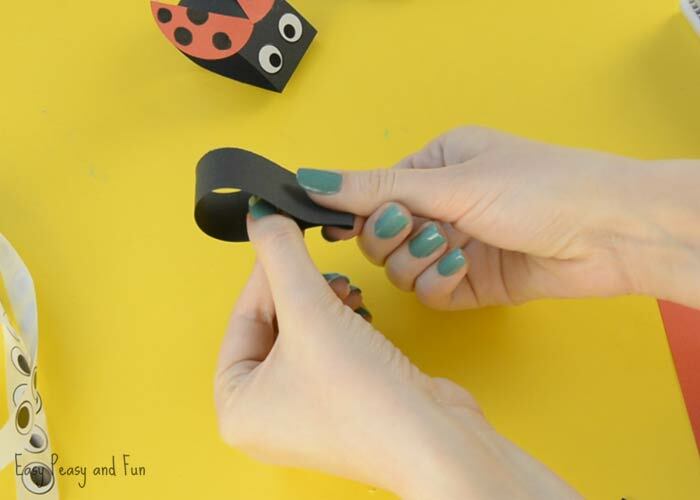 Glue the ends of the black strip together so that you get a round tube, pinch it on one side to get a tear-drop shape. 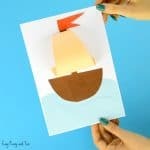 Cut or punch a circle from red construction paper one (you can use a glass or a lid to trace the circle). Draw seven spots to the red circle and cut it in half. 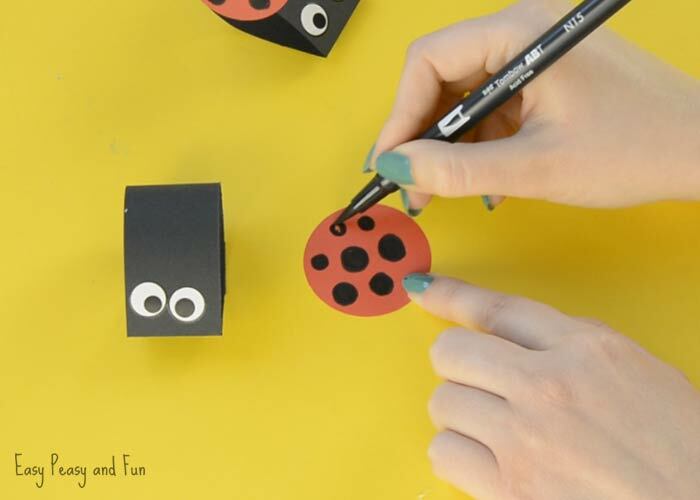 Ladybugs have anywhere from 0 to 24 dots, but we think 7 is just perfect. Also glue the google eyes or add wiggle eyes stickers on the black loop. You can leave the circle as is or you can cut it in half. 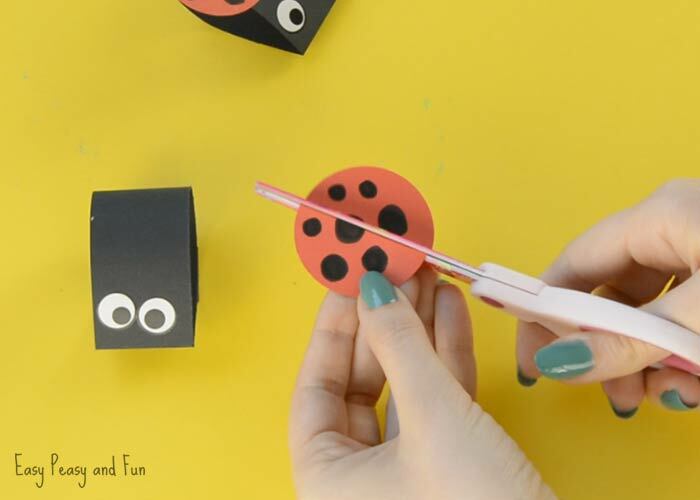 We think the cutting them in half is the way to go as it makes the ladybugs even more cute. 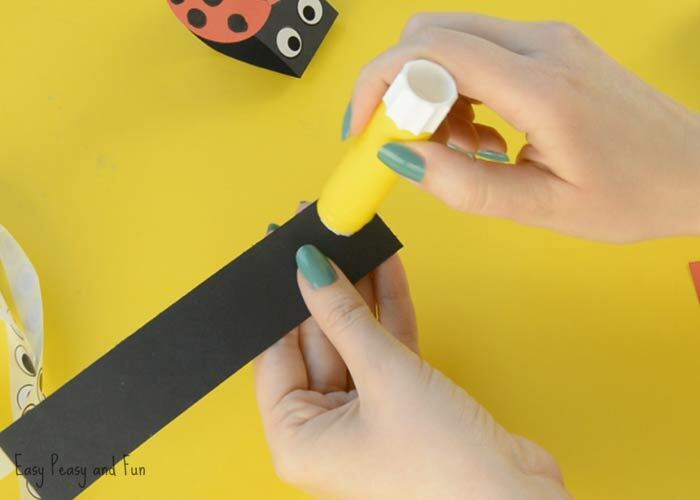 Glue on the wings on the paper ladybug. 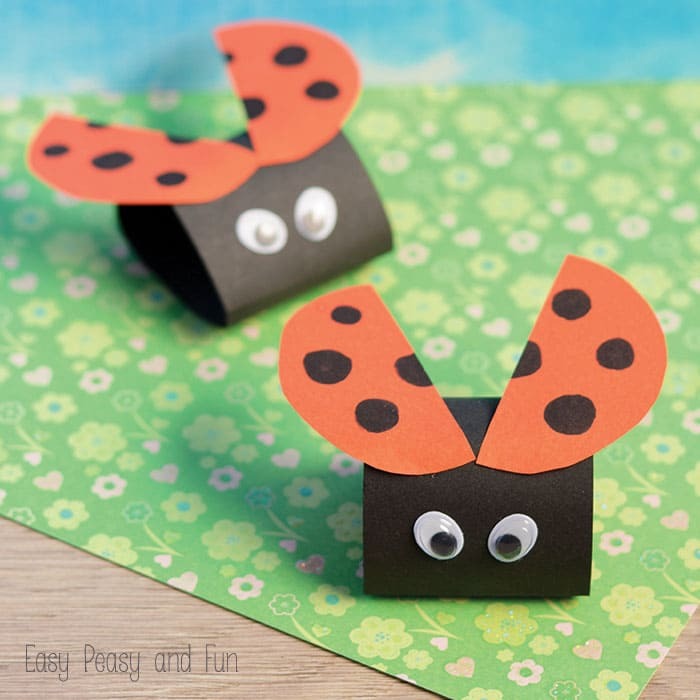 We’ve had fun with ladybugs before as we did these fun leaf ladybugs. If you liked the style of this craft you can also make a paper craft bunny like we did.